So, you want to take a cruise but don’t have a spouse or companion to share your stateroom? Never fear, intrepid solo traveler. Cruise lines want you to come alone and are making it easier than ever by reducing or eliminating the dreaded single supplement, creating accommodations specifically designed for one, and launching programs to make sure you feel at home and make new friends. Here are six great cruises for solo travelers. Cunard, the traditional cruise line with a British sensibility, recently added nine single-occupancy staterooms to the Queen Elizabeth, and will do the same on the Queen Victoria in January. You know the solo travelers are important to Cunard — it is carving the single-occupancy staterooms out of the revenue-generating casino! The one interior and eight ocean-view staterooms are on Deck 2 midships. If that seems like a bottom-of-the-barrel location, consider that they are located near the casino, the theater and the Queens Room. They have a single bed that is 47 inches wide, which falls in between the width of a twin and a full. The staterooms measure 159 to 162 square feet, which should be plenty of space for one person. Beyond the made-for-one cabins, Cunard ships help the singles feel at home with a welcome reception on embarkation day, coffee and cookies every sea day morning, and special meeting points and excursions on port days. Plus, gentleman hosts will dance with single women at the formal ballroom dances and balls. Norwegian Cruise Line broke the mold on solo staterooms with the Norwegian Epic in 2010. That ship introduced an entire section of 128 “Studios” designed for one on Decks 11 and 12. What’s more, the Studio area has its own lounge with a bar, large TV screens and comfy furnishings. Solo travelers can mingle there or even leave notes on the bulletin board seeking dinner or tour companions. The Studio area is behind locked doors, accessible only to residents by a private keycard as an added security feature. 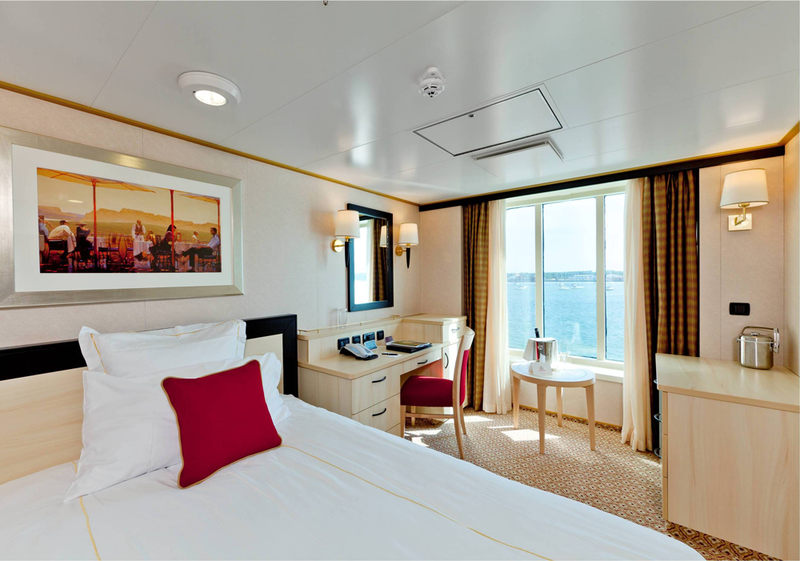 The staterooms are not big by any stretch — they average about 100 square feet — but have a full-size bed, a one-way window to the corridor, a flat-screen TV and funky lighting. They are priced for solo travelers so there’s no onerous single supplement. The Studios were so popular on the Epic that they’re also found on the newer ships. There are 59 each on Norwegian Breakaway and Getaway, and will be 82 on Norwegian Escape, which is due out in October 2015. 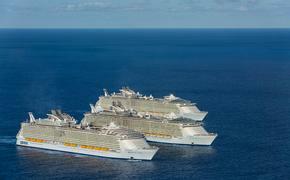 Also, four were added to the Hawaii-based Pride of America in 2012. Many river cruise operators offer single-occupancy staterooms, including AmaWaterways and Tauck, the tour operator with a growing river fleet. For example, Tauck’s newest riverboat, the ms Savor, has four 150-square-foot staterooms on the lower level earmarked for solo travelers who won’t have to pay a single supplement. Six ships in AmaWaterways’ European fleet offer a limited number of single-berth staterooms, and the company waived the single supplement on select departures in 2014. “We make it a priority to keep on top of developing trends, and it’s clear that more and more solo travelers want to experience our cruises,” said Kristin Karst, AmaWaterways’ executive vice president and co-owner. Since its first cruise in 1990, Crystal has always brought along what it calls Ambassador Hosts — professional dancer partners for women without one. Now, in an innovative twist, the luxury line is expanding the program to include female dance pros for men without partners. The Ambassador Hostesses will debut on three “Ballroom at Sea Experiences of Discovery” voyages set for Oct. 5, 2014, and June 12 and Dec. 11, 2015. 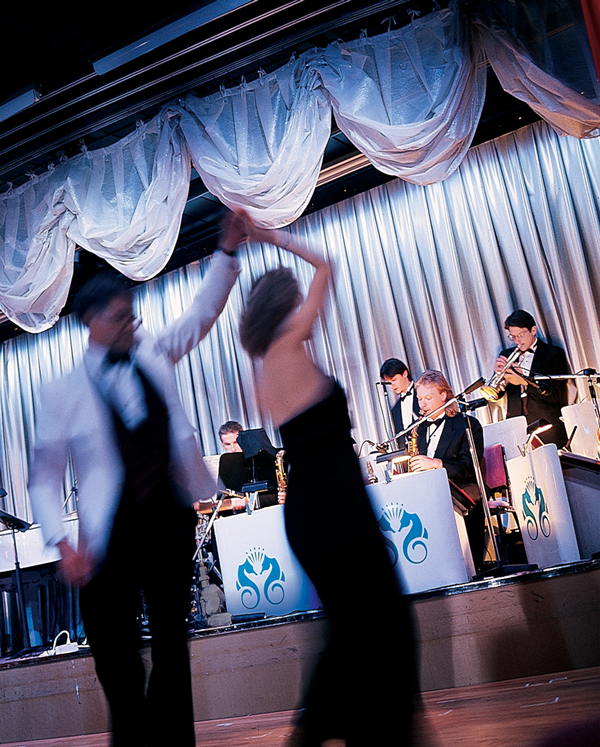 These special cruises will include evening dance sets, live orchestra performances and dance classes. Crystal also offers low single supplement fares — as low as 10 percent on more than 35 cruises in 2014 and 2015 — as well as a singles get-together and a “Table for Eight” program that joins single cruisers for dinner in specialty restaurants. When Quantum of the Seas debuts in November, it will have a new class of solo accommodations — the Super Studio Ocean-View Stateroom with Balcony. Yes, that’s right, a 55-square-foot BALCONY. The room itself is 119 square feet, which will probably feel bigger because of the big windows and outdoor space. Quantum, and its sister Anthem of the Seas (due out in April), also will have the more typical 100-square-foot inside staterooms with no single supplements. But they will feature “Virtual Views” of real-time scenery on the flat-screen TV, so maybe you’ll feel like you have a real window. Other Royal Caribbean ships with single staterooms measuring about 108 square feet are the Brilliance, Radiance and Serenade of the Seas. 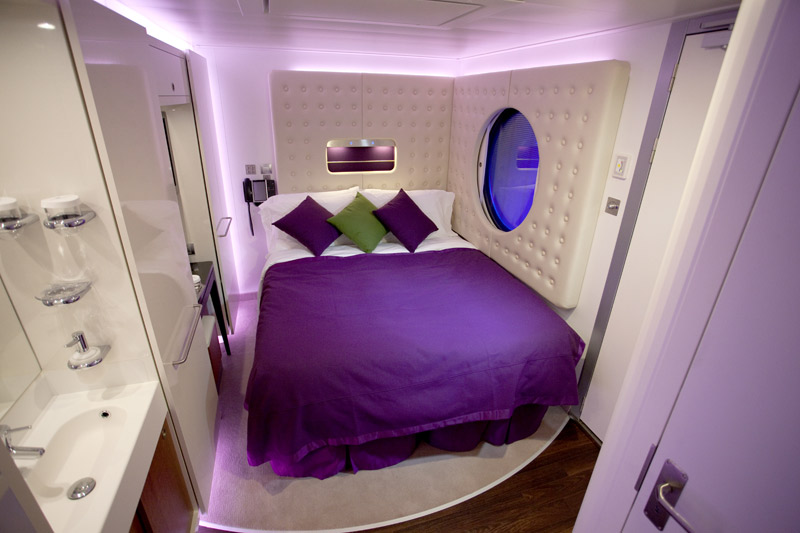 This company, which offers cruises as well as tours, is adding 1,160 additional cabins for solos in 2014, with about two-thirds of these cabins on the five most popular river cruises in Europe. The company says solo travelers now represent one in four of its travelers, up from one in five just five years ago. In the past two years, 19,000 solo travelers have sailed with Grand Circle, of which 80 percent are women. 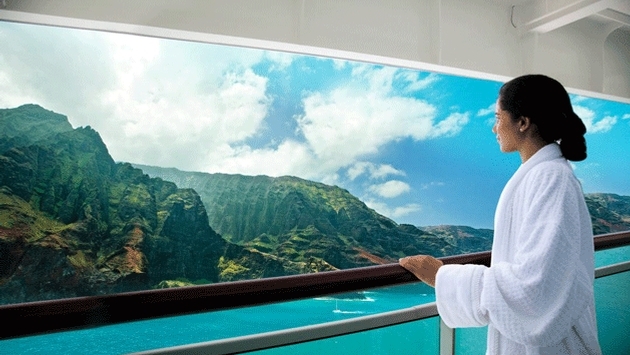 Grand Circle Cruise Line anticipates 40,000 travelers in 2014, including more than 12,000 solo travelers. Grand Circle, which does not work with travel agents, also offers a roommate-matching service and low single supplements when a double-occupancy room is the only option.